“Airline” and “luxury”? Those are two words you don’t hear together too often. There’s nothing too luxurious about hurtling through the air in a claustrophobic metal tube, eating stale snack mix and inching away from your strange neighbor’s shoeless feet. But, it turns out, airline luxury isn’t dead! Well, if you fly Singapore Airlines, anyway. The airline was named Airline of the Year at the 2018 Skytrax World Airline awards, otherwise known as the Oscars of Aviation. The airline got top marks in part because of its suites. Singapore’s new AirBus offers individual cabins with double beds, closets, dining tables, 32-inch entertainment screens, and a sit-down vanity counter with free lotion and facial mist. And, most importantly, they have doors, which eliminates the number one worst thing about flying: other people. 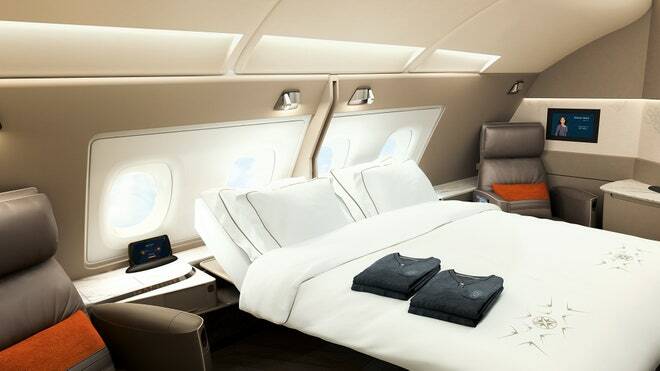 A Singapore Airlines Suite with a double bed. Their new economy class isn’t too shabby either: every seat comes with an adjustable footrest and headrests, as well as USB ports and outlets. 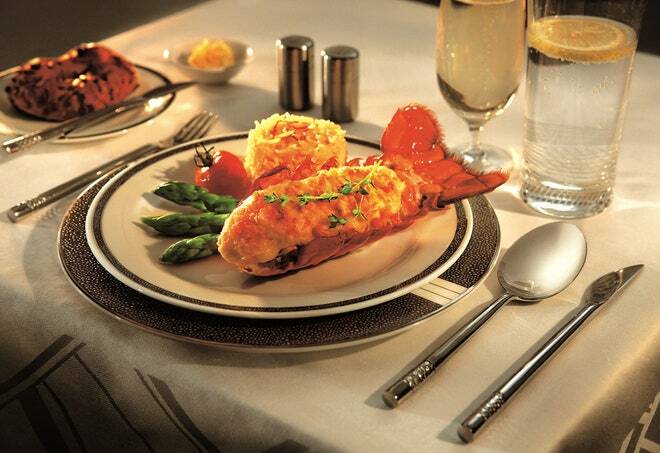 Lobster Thermidor, available in Singapore Airlines Suites and First Class. Then, there’s Singapore Airlines’s technical success: this year, they will revive their route from Newark, New Jersey to Singapore, the world’s longest flight. And, since Singapore is also home to the world’s best airport, that travel leg could be luxurious all around. Coming in second place for best airline was Qatar Airlines, followed by All Nippon Airways and Emirates. Skytrax also handed out awards for the third most important flying factor (after timeliness and comfort): food. If you are lucky enough to be in first class, Air France has the best offerings, whereas culinary aficionados in coach should try Thai Airlines. No American airlines won any type of award—which, judging by recent headlines, isn’t much of a surprise. Be the first to comment on "This Is the World’s Most Luxurious Airline"